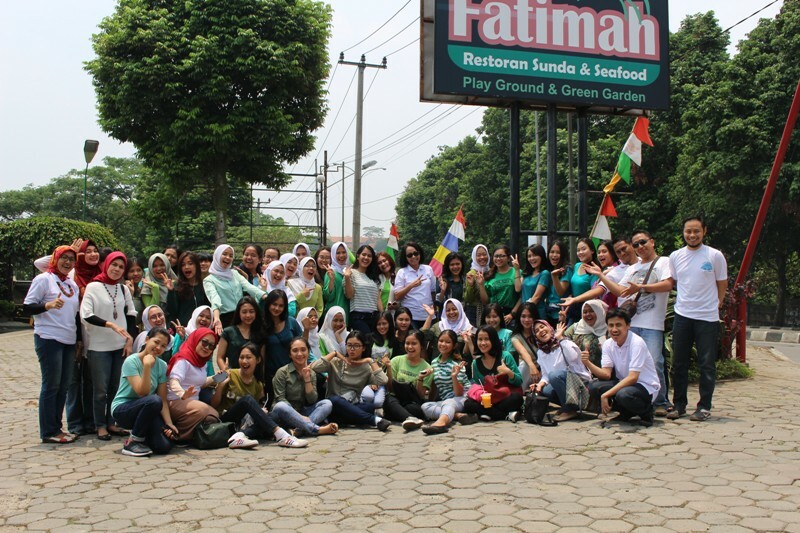 The regular gathering night held annually for students of class of 2017 has took place. 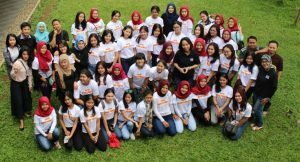 This activity was held at Villa Budi Luhur, Gunung Bunder on 19-20 September 2017. The activity was attended by 45 participants from freshmen from class of 2017 and led by Miss Fenti Sofiani, S.Pd., MM as the Director of Budi Luhur Academy of Secretary and Management Board of Budi Luhur Academy. 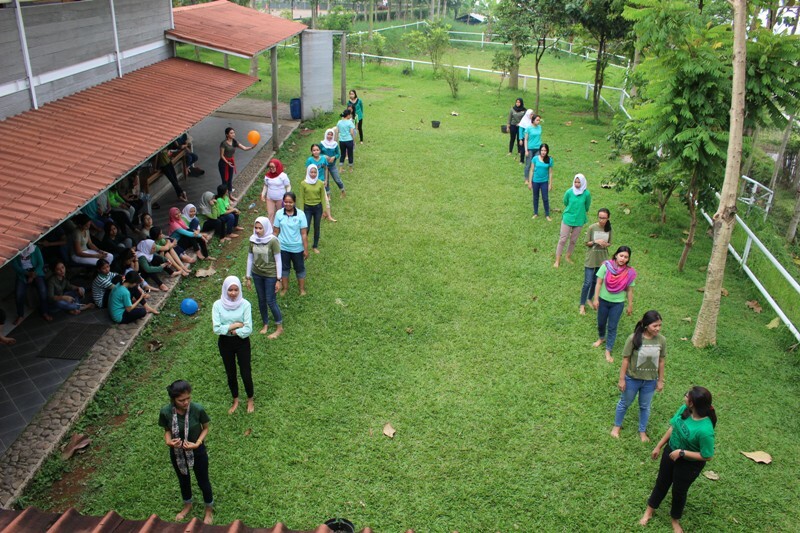 This activity aims to introduce more new fellow students class of 2017 with the games held by the management of Budi Luhur Academy of Secretary and also the Academy Management can be more familiar with the characters and habits of 2 days togetherness in this series of activities. 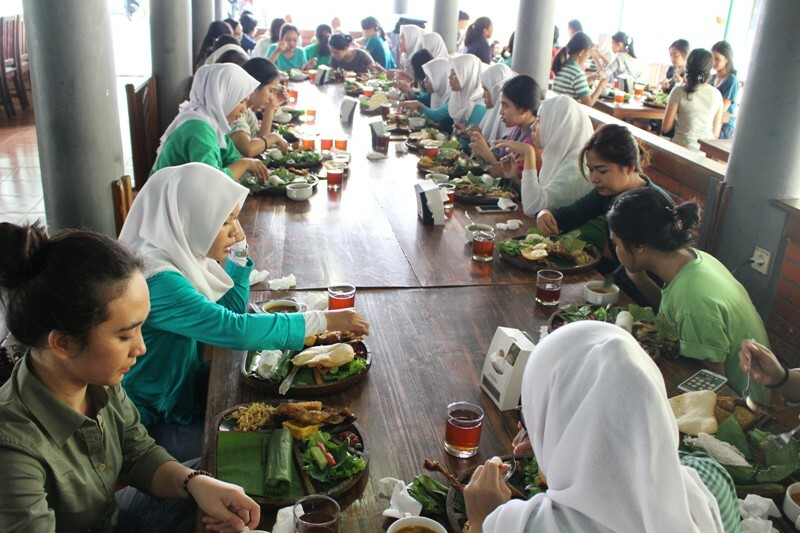 Before arriving at the Villa, all participants of the Academy and Management enjoyed lunch together at Kedai Fatimah Restaurant Bogor, then continued the trip to Villa Gunung Bunder to carry out a series of activities. 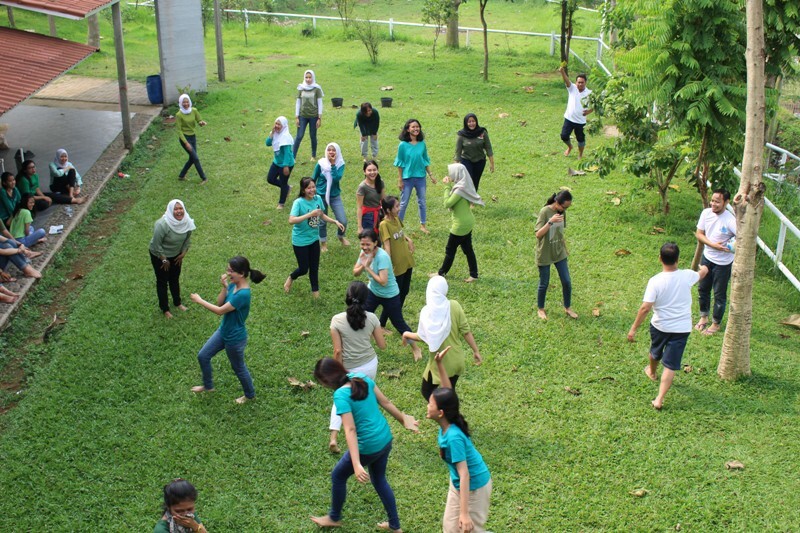 This activity was filled by various competitions of individuals and groups such as Joget Balloons, water balloon throwing, stomping papers, futsal, makeup and lypsinc songs contest. 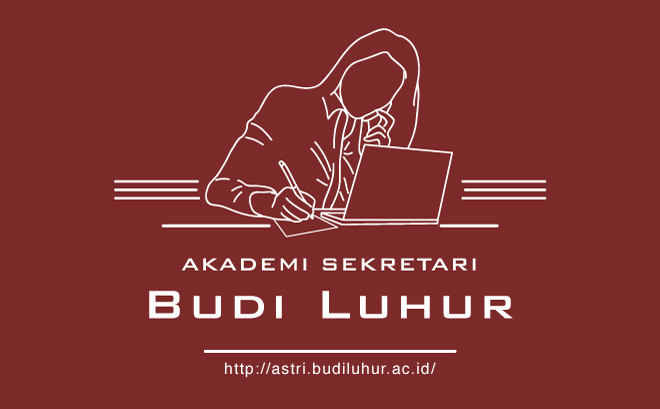 With all the games held by the Budi Luhur Academy of Secretary’s Management, students learn to work together, cooperate and concentrate in daily life, especially during lectures at the Budi Luhur Academy of Secretary. 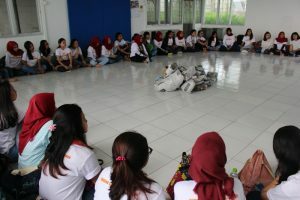 On the next day, all participants did exercises along with the Management, then enjoyed breakfast served by the Management and afterwards the students gathered in the Villa Hall for a briefing by Miss Fenti Sofiani, S.Pd., MM and students were given the opportunity to give impressions in this activity, then the event continued with gift exchange and prize distribution of the competition. At the end of the event, all participants took a photo with the Management of the Academy in the courtyard of Villa, before heading back to Budi Luhur Campus, students had lunch together at KFC Sentul and returned to Budi Luhur Academy of Secretary Campus. 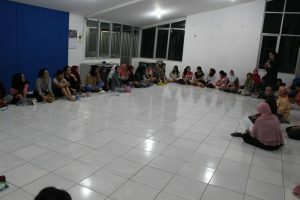 Hopefully this year night gathering can provide excellent benefits for Budi Luhur Academy of Secretary’s Students.